I’ve tried and tried but I simply can’t put it off any longer. From September we will need to have a system in place for assessing ICT. 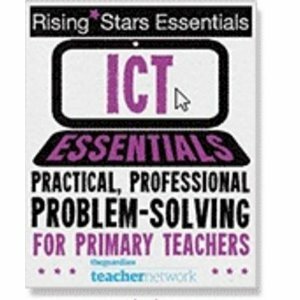 I need to know which children are doing well in ICT and I need them (and their teachers) to know what the next steps are. You may be thinking that I am bonkers, after all, many schools will not be assessing or reporting on ICT after the disapplication of it earlier this year. But I still need to plan progressive lessons with opportunities to be challenged and to improve. So I’m doing it anyway. We were planning on doing something on our own but many other primary and secondaries are looking into it, so we might end up with something collaborative. We have a meeting with other local schools and our local secondary tomorrow to discuss this idea further. But I have a problem. I’ve seen two secondary schools provide assessment grids for me to look at and they are miles away from what we are doing. For example, one said Level 3 is logging on to the network yet as primary teachers would know, this can be done in Reception. The other said that Level 3 involved being able to define an algorithm when programming. I don’t think I could do that easily. Now this isn’t a stab at secondaries, more of a question about where do the levels cross over? I teach children Level 1-5, they generally start at Level 3. Seeing how these will combine together will be interesting and I am very glad we have a great secondary school to work with on this. Also this week we received the data from Hampshire LA that stated although we were ahead of the majority of schools in Level 3 and Level 4 children, we were behind in Level 5 for ICT. We send levels each year and get them back as graphs and analysis. My head-teacher (rightly) questioned the results. Why are we behind in Level 5s? The answer in my opinion? We’re not. It is just very hard to pick out what makes a Level 5 child. How are they being assessed? On what criteria? If all schools are doing this differently then we will all come out with different results, but that’s fine. When we were at ReThinkingICT we were discussing Level 5 children and secondary schools said that they found it difficult too. I know our children have more, and better, ICT opportunities than a lot of other schools, so I’m happy. So..my plans? Coming up with a badge system that will give children an idea of what they will need to do to improve. It will start by looking at what I would expect/hope a Year 2 child would be able to do, then a Year 4 child and finally a Year 6 child. For this, Bronze would be Year 2, Silver Year 4 and Gold Year 6. For more advanced children, they could try for the Platinum award. This could take in their learning in class and at home. But how do I find this out and assess it? Hhhmmm..need to think about that. These badges will not necessarily be focused on levels, but may use them as a guideline. When I discussed this with the children, they loved the idea but their biggest question was “Is it a physical badge? or if it’s online, where does it go?” and I’m not sure yet. Maybe on a portfolio somewhere. I know Edmodo has badges, but my children didn’t like that very much. For the Summer holidays I have set myself two badges to write out. One for Animation and the other for Programming/Game Design. So what are the expectations for a Year 2 child when it comes to animation? Or a year 6 child? When we have done stop-motion animation this year, a lot of the Y3/4 videos looked similar to the 5/6 ones. Is this able Year 3/4 or less-able 5/6? There are lots of things to think about and I am very much looking forward to tomorrow’s meeting when we can bounce ideas around as a group. What do you think? Would you like to help out with some ideas? Let me know! From the point of view of establishing progression, you might want to take a look at the ICT section within our ‘Flexible Curriculum’, specifically the ‘Overview’. There is a sample .pdf on our website. I would be very keen to be involved if possible. Wow you are really going to have a VERY busy head these holidays with all of this to percolate over! Good luck and go well, I look forward to seeing where you get to with it all! Obviously get them involved in the process. Badges are a difficult one. Are they a marker of achievement, an assessment or a quality control by what parameters? How are they set against external metrics? I really like your idea for badges Ian, I’m currently thinking about what assessment to put in place at our school as everything we use is way out of date. Will be interested to see what you come up with over the Summer for those two areas of the curriculum. I am doing the same thing, trying to link assessment and real AfL with the use of badges to show progress and encourage learners to aim higher. To do this I looked at making work more level based, so students have something else to aim for. Is this something you see yourself working on? Would love to be involved. We are also doing stuff in same field and link up would be good. Also see Doug Belshaw http://bit.ly/OsJkIh now working for Mozilla on badges. Please can I see an example of the different badge level descriptors for one area of ICT. I think it’s a great idea and would love to produce my own. I have been contemplating something similar for our school…a way of marking the progession for each child. many years ago this was done with an I can statement booklet that was carried up through the years. However as technology changes so rapidly these I can statements quickly became outdated, so mass production of the booklets was pointless. I really like the simplicity of the way he has broken down the areas of his ICT curriculum into manageable objectives. Within each area t is clar to see the progression. Maybe these statements would be useful to build up the content of your bronze, silver and gold badges?